Ok, so you know how some things absolutely blow your mind to pieces? Some things that make you wonder why you never believed in fairytales, or magic or rainbows that truly lead you to a pot of gold? Well, this is that mind-blowing style of recipe with an even bigger bomb of a result! It is oh so crackly. The strawberry melds with the ganache. What can I say, this delicious dessert drives me a bit crazy. And that is why it was the perfect indulgence to share over at Minnie’s blog. P.S. You will not be able to stop at eating one, guaranteed! I just love macarons. Yours look so lovely! Wonderful job. oh man Uru you got it going! your macaroons look so perfect. I know many pros here who can’t achieve what you did. You go girl! This is such a nice recipe, I still need to perfect making my macarons though…they tend to break when I peel them off to fill the two cookies. Uru, you made macarons?! You are my hero! I am very intimidated to try it. I will go see if you can bolster my confidence with your recipe! These look perfect in so many ways! Thank you for sharing! The nutella/strawberry combination sounds awfully good! These look beautiful! Allen. Gorgeous macarons Uru and I hope you’ve been studying like crazy! Heading over to check out your guest post! I need to make these. Like yesterday. Your macarons are gorgeous! How do you get them so perfect!? Love the combo of strawberry & nutella. Hope you’re doing well on your exams! This looks great!! I have never made macarons before, but if something has nutella in it, I’m all over it. YUM!! I love the strawberry and Nutella combo! Beautiful & delicious macarons, as usual delicious treat Uru! Happy anniversary & birthday to Minnie! You know, macarons and I have a love hate thing going on! They look pretty and are, in my opinion, easy to make but I just am not a fan! So, I always make them for guests who go oooh! Strawberry and Nutella, mm, not a combo I’d have thought of! Great job! I loved the macarons! They are so pretty and cleverly made. strawberries and nutella go so well together – these sound AMAZING! These look great CCU! I love French macarons. Making them is fun, but of course the best part is eating them all!! What gorgeous-looking macarons! I could go for one right now as a little sweet treat. =) Off to check out the post! I have yet to try my hand at these gorgeous little pastries. Very nicely done. CCU, love the new layout of your blog – so pretty and professional looking! The falling snow flakes are beautiful too…. peaceful and festive. Great guest post! Oh my! These look more difficult than I might manage well, but maybe I can find someone else to bake them for me! They’re beautiful! Just beautiful and heavenly macarons! Very impressive. I really need to jump on the macaron bandwagon. These are adorable! Strawberry and nutella sounds like a delicious mix! Have fun prepping for Christmas! Perfect macarons! And a wonderful combo of flavors! These look amazing! My favourite flavours. I’m so delighted to stumble upon your very delicious looking guest post. I too miss all my visitors. Macarons are so lovely as they literally melt in your mouth. These sound wonderful. Nutella macrons? Yes please please. They look incredible. These are lovely…so yummy looking! I love nutella in anything! Gorgeous macarons, Uru! Makes me want to abandon my “diet” altogether! Cooking during yearlies.. hee hee. 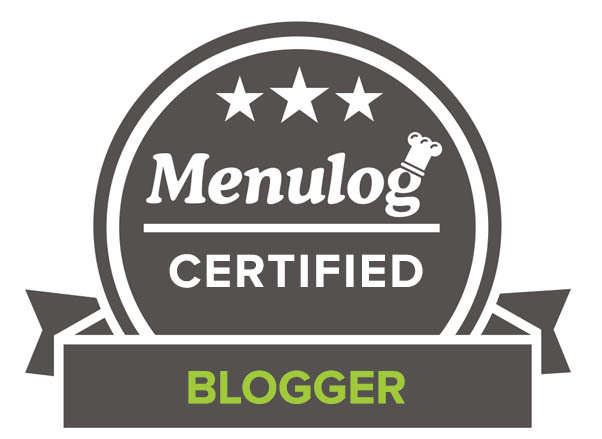 Great guest post, Uru, and fun to read Minnie’s intro about you, too! I love how you described the macaroons, Uru! I have myself a Nutella craving now. Well, for someone who balances school, blogging and baking, you post more regularly than most. Looking forward to more!! Yay, Christmas! And yay for all the Nutella in the guest posts lately 🙂 Nutella = Awesome. But we can’t wait to have you back! Anyway, I’m doing an Australia-only giveaway (I know, why?) but don’t know very many Australians…if you’d be willing to spread the word, I’d really appreciate it! It ends 12/20 and is for gluten-free cookie bombs from a specialty bakery over there! 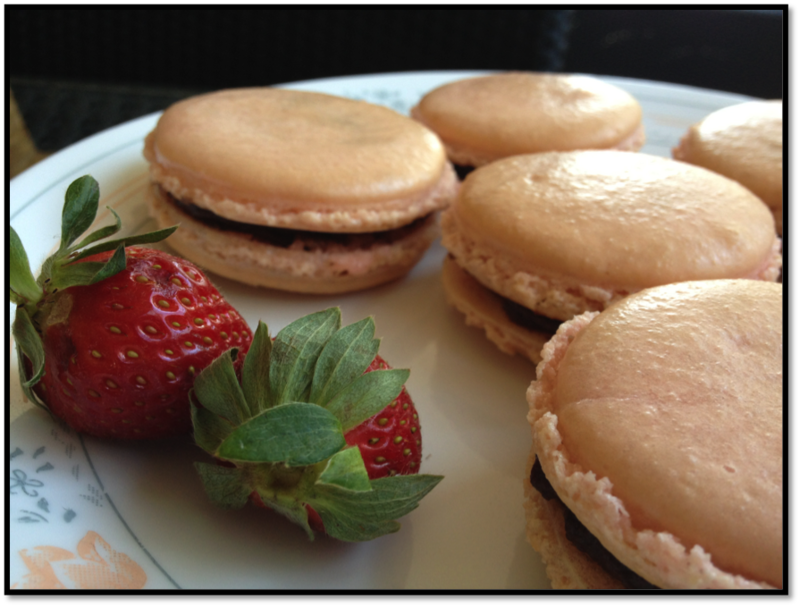 Your Strawberry and Nutella macarons are gorgeous! NI have never paired those two together, but I will now. Ooh, strawberry Nutella? What a great combo! What a naughty flavour combination! They sound great. I love this combination of macaroon. Nutella and strawberry sounds perfect together! Haven’t had any macaron in ages. These are just heavenly with nutella. OMG! I love macarons but never am able to make them at home 🙂 these look perfect and strawberry and nutella? yes yes yes please! Fantastic dessert for this coming X’mas. I love Macarons!! Ladies, come & join Luxury Haven Celebrates 1,000 Facebook Fans With Peter Thomas Roth Giveaways! See u there & good luck! Indeed they are mouthwatering My dear, What a wonderful birthday celebration of Minni! I am happy that you posted a gluten free delicacy. Mmmm strawberry and chocolate – a combo that you can’t go wrong with! These macs look great! On my way over! And I’m so with you on being excited for the holidays – woot woot! Dainty delicious! I love the strawberry & nutella! This is a terrific recipe idea. The holidays are approaching fast and this looks like something to put on that party tray. Headed over to check it out. Lovely looking macs. Strawberry with nutella ganache…irresistible! I LOVE the snow falling throughout your pics- so neat! These seem like the macarons with the best flavor combination ever. Using nutella is so genius! Oh they looks so delicious!!! I can’t imagine how gorgeous they would have actually tasted! Looks ridiculously good! 🙂 Have a good week. Hope all is well in India! Looks wonderful! Off to read all about it now . 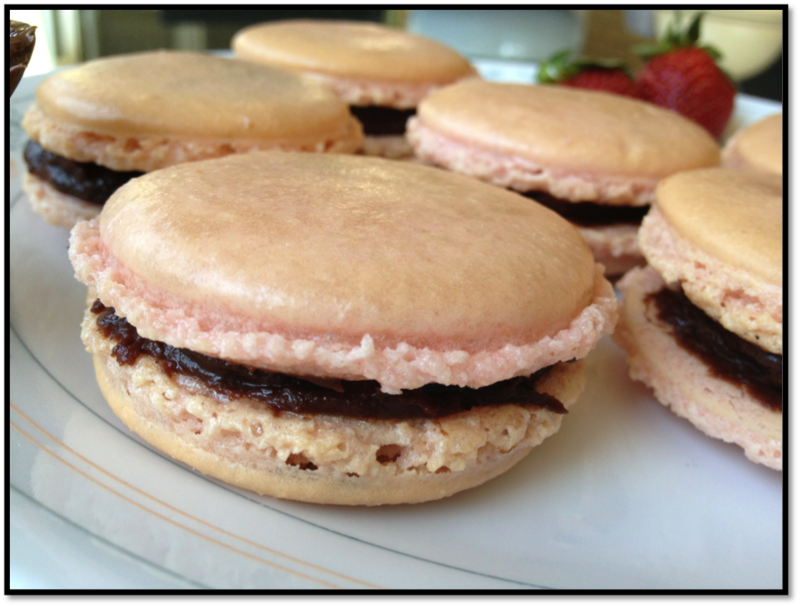 . .
Umm, I think these should be *raspberry* nutella macarons, because that’s the flavor all the cool kids are doing. So you should send these all to me, and I’ll eat them, and you can remake them, okay? Oh my do these look delish. I am so impressed! I have never tried to make macarons before….they intimidate me. But yours are so beautiful and look delish! WOW those look and sound absolutely fantastic!! It’s hard to stop laughing at Colette’s comment… I can certainly relate to “eat them all”! A beautiful guest post, CCU. The best looking macaroons I’ve ever seen. Beautiful macarons, Auntie Minnie is one talented chef. Look forward to seeing your guest post on her site also. These look delicious–soft and crisp at the same time, how perfect! They look not only delicious but beautifully perfect! You are such a talented baker! These are beautiful! It’s not a combo I’m familiar with but more than willing to try!! Oh. My. Gosh! A flavour match made in CCU heaven! Mind blowing I must say Ms. Its very nice to look at and you bet tasted heavenly. Thanks for your comforting words. I am trying to move on though the flashbacks keep coming back in my mind. We are here to support my friend, naturally it will take time. They look like heaven, and so pretty–love your new background! How lovely to do another guest post CCU. Your macarons look incredible. Oh man. I’m still at work and starving. This is cruelty I tell you. Tried making these once, turned out ugly, had to eat them all.